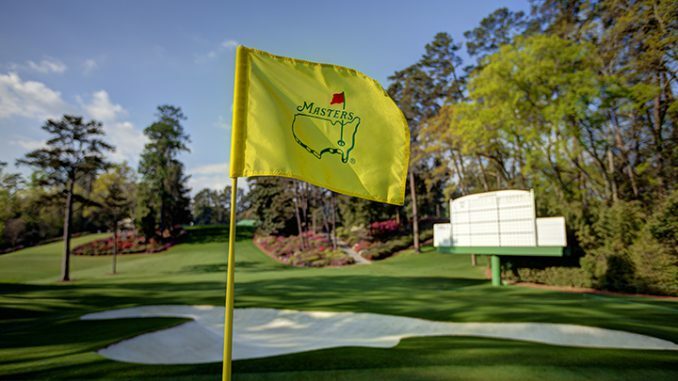 Held on the most iconic course in the golfing world August National, The Masters is the first major of the year. Unlike the other three majors, The Masters is played on the same course year in year out so you would think it would be one of the easiest majors of the season, but it is the total opposite. The Agusta national course is one of the most difficult courses to negotiate your way around with holes like the famous Amen Corner standing in your way. Only the best of the best have a chance to get their hand on the famous green jacket. Every player that lines up for the Masters has what it takes to win it, but only one man gets to don the Green Jacket each year. We saw Patrick Reed win his first major at the 2018 Masters, and that was after Sergio Garcia finally got the monkey off his back at Augusta in 2017. The Masters has the smallest field of the four major championships. Officially, the Masters remains an invitation event, but there is a set of qualifying criteria that determine who is included in the field. Golfers who qualify based solely on their performance in amateur tournaments must remain amateurs on the starting day of the tournament to be eligible to play. The top 50 in the World Rankings as of April 1st of that year will automatically have an entry into The Masters. Past champions get an automatic invite each to play each year and here are some that are expected to take up the offer this April. Who qualifies for The Masters? The Masters will be contested between 90-100 players which makes this the smallest major field. The only way to qualify for the Master to be ranked in the top 50 in the world on April 1st or be a previous winner where you will automatically get an entry each year and current US Open champions, Open champions and PGA champions are all eligible for 5 years after their win. Players Championship winners are eligible for three years and current Olympic Gold Medalist are eligible for one year after their victory. U.S Amateur champion and runner up, British Amateur champion, Asia-Paific Amateur champion, current U.S Mid-Amateur champion and current Latin America Amateur champion are all eligible for the Masters. The First 12 players (including ties) in the previous years Masters are eligible along with the top 4 of the U.S Open, Open Championship and PGA Championship are also eligible. Jack Nicklaus holds the record with six green jackets to his name, with the first coming back in 1963 with his last coming in 1986 when he was written off by everyone. Tiger Woods and Arnold Palmer have four green jackets each, with Sam Snead, Gary Player, Nick Faldo Jimmy Demaret and Phil Mickelson all on three. Jordon Spieth ended day 1 on top of the leader board after finishing on –6 after birding fiver consecutive holes, this was the third time in four years that the American finished day 1 on top of the leaderboard. Tony Finau and Matt Kuchar where his closest pursuers on –4. On his return to the Masters for the first time in three years, Tiger Woods finished 7 shots behind Spieth on +1. At the end of day 2, the leaderboard has a totally different look to it with Patrick Reed shooting a round of 66 for finish day 2 at –9. Marc Leishman eagled the 15th to help his score get to –7 with Henrick Stenson two shots further back on –5. Jordon Speith who help the lead going into day 2 shot a 74 to drop to –4 overall alongside Rory McIlroy. Patrick Reed picked up where he left off when shooting another solid 67 which included four birdies and two eagles to take him to –14. Mcllroy shot a fantastic 65 to claw himself to within 3 shots off Reed. Jon Rahm and Rickie Fowler also shot rounds of 65 to be six and five shots off the lead. It was the first time in Masters history that 3 plays shot a 65 in the same round. Patrick Reed shot a nervy 71 on the final day but it was enough to hold off the charge from Ricky Fowler and Jordon Speith who shot one of the best rounds of 64 you are likely to ever see. He was in with a shot of clawing Reed back in going to the last only for his drive to fail him on the last when his drive hit a tree which put end to his remarkable comeback. There are always a few things to take into account when picking your player for the Masters. Defending champions have an awful record when coming back to defend their title. Tiger Woods, Jack Nicklaus and Nick Faldo are the only players to ever achieve this, Woods been the last when he won back to back titles in 2001 and 2002. The design of Augusta lends itself to players that can draw the ball from right to left, so this gives right-handed golfers an advantage for the four days. Big hitters have a big advantage also, they can use their big drives to attack the par 5s and nick that extra shot or two that might become curtail come the 18th on Sunday where I think we will see Bryson Dechambeau dawn the famous green jacket. Click here for the best Sportsbooks to utilise our betting tips. If you still can not make up your mind, check out our Golf Betting page with more information on how to attack golf from a betting point of view.